All HIGHLANDS UNIT 2 AT VENTA homes currently listed for sale in Peoria as of 04/24/2019 are shown below. You can change the search criteria at any time by pressing the 'Change Search' button below. 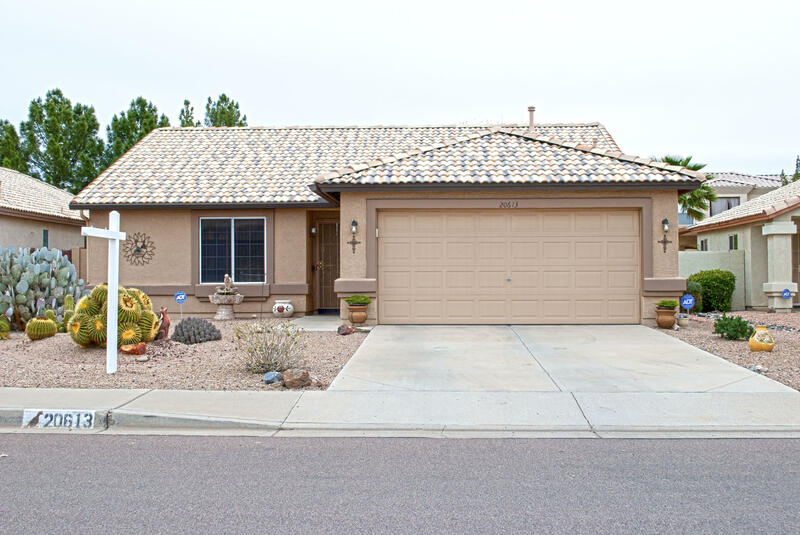 "This beautiful two bedroom two bathroom split floor plan home is located in sought after Ventana Lakes 55+ community! The home has a den that could be used as an office or additional guest space. Flooring has been updated in the master bedroom and second bedroom. Eat in kitchen with stainless steel appliances. Backyard boasts three hole putting green, coy pond with water fountain and fantastic covered patio space for entertaining. Ventana Lakes residents enjoy access to nine different lakes, wal"